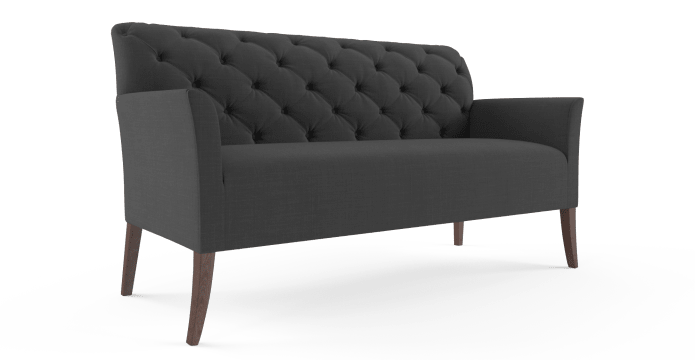 This is a sofa with some modern personality and classic charm. French Provincial accents give way to clean, modern lines and elegant legs, making this a versatile piece for any room. 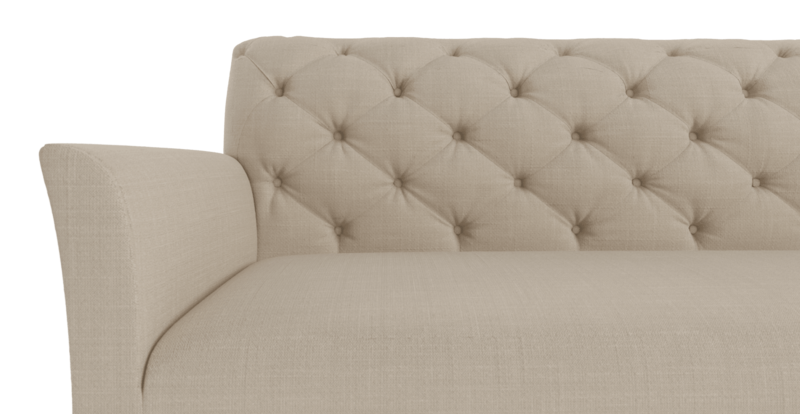 Gentle curves work together with straight, rigid lines to create a truly interesting sofa for the stylish home. This sofa's modern appeal is contrasted with majestic hand tufting, expertly applied with matching buttons that give a sense of reserved class. With a frame constructed from engineered hardwood, the Beaudan is as reliable as it is beautiful. Stress tested to ensure correct construction and quality materials, this is an armchair that will stand proud in your home for years to come. Available in our bestselling Brosa Signature Premium fabric, the Beaudan armchair has a trendy linen look that will give your home an air of luxury. 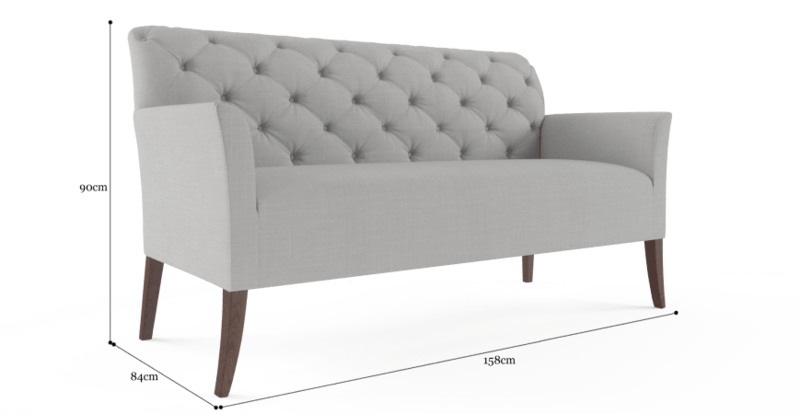 Complete with your choice of natural or brown lacquered legs, the Beaudan is sure to match your home perfectly. Great quality, great service team. I had no issues waiting for my item as it was already in stock. See, touch and feel our fabrics used on our Beaudan 2 Seater Sofa. For Free! Simply select up to 3 fabrics and add them to your cart. Delivery is on us. Good news! 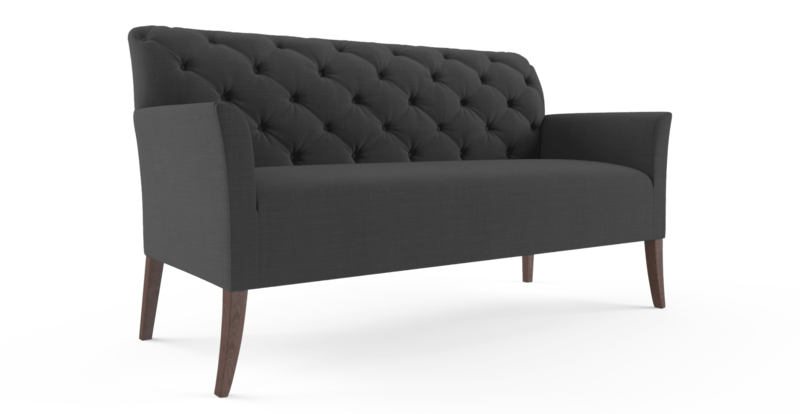 Beaudan 2 Seater Sofa is currently on display in our Alexandria Collingwood studio.